Are you looking for unfurnished cleaning, end of lease cleaning, or end of tenancy cleaning in Hong Kong? Answer a few questions, and get up to 4 quotes from the best Unfurnished Apartment Cleaners within mins! 100% FREE! Save you 99% of time. What is the square footage of the place? 500 - 700 sq. ft. This is PROMAID! Our mission is to help customers to solve problems! 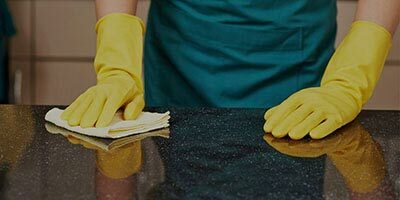 We have a group of professional, experienced and scrupulous maids which can provide varieties of home cleaning services. The quality of our service is guaranteed, most of the maids have already got re-training certificates, if not, we will provide the on-the-job training for them, and will not arrange any work unless they passed the exam. We’d like to become a social enterprise in the future, assist the low-class females to improve the quality of their lives. Many customers, who are used to hire foreign domestic workers, are likely to let us help them to find new maids during the foreign domestic workers’ break or the space of waiting for a new foreign domestic worker. 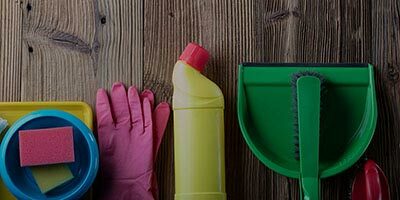 Home Easy Housekeeping Service Co. LTD was established in 2001, which has developed into an organized one-stop housekeeping service corporation in recent years. Aimed to let the customers have better family lives, we render appropriate and suitable housekeeping services for the customers who have various of requirements with our professional and sincere attitude. I am Susan, who has engaged in house cleaning business for more than 10 years. I used to serve families from different countries. I am also good at housekeeping and all kinds of other housework. I possess good time management skills and a diligent working attitude. I will try my best to solve my masters' problem. Royal Housekeeper aims to provide professional and superior housekeeping services for the customers. We make great efforts in training a group of high quality and enthusiastic local maids with professional and sincere attitude. They can help you and your family to solve all the tedious household problems. We believe that it can let you escape from the exhausted works and enjoy your leisure family lives. I am a housewife from Ng's family. I undertake some part-time cleaning works. I wish to get a part-time cleaning job on HK Island. I hope I can serve you well with my best home cleaning services. I have been a home assistant for more than 10 years. I am honest, hardworking, punctual, responsible, having a can-do attitude, not afraid of dirtiness and being tired. I promise that I can do my best and give my utmost services to my clients. I would like to do home cleaning jobs in Tuen Mun, Yuen Long, and Tin Shui Wai. I possess the certificate of Home Assistant issued by the government and have been taken part in this job for more than a year. I have a clean and neat appearance, and not allergic to animal’s hair. Employers do not have to worry for that. I have the certificate of beautician training, professional cooking, and housekeeper assistant. I‘d like to search a job in these respects and fully utilize my talent. Besides, I am one of the primary breadwinners in my family, as the old saying “more pay for more work” goes, I am literally positive and hardworking when facing work. With the training and the knowledge, I am a professional of these working fields. My slogan is: Love service industry, train it, and make it better. We provide interior design and decoration engineering services, one-stop service. We follow up every project professionally and prudentially, discuss and share opinions with our customers, make sure that a cozy house for our customer can be constructed. Besides, we can provide construction drawing, 3D design sketch, kinds of plans, elevation design plan and furniture plans, etc. Our team also have other services such as furniture customizing, dismantling furniture, resident moving, drilling, installing, painting, removing furniture, cleaning and introducing housekeeper. Our schedule is up to your order, which will ensure our service can help the customers quickly, appropriately, diligently and professionally. Established in 2007, Smart Home has been providing premium home services in Hong Kong over the years. With over 50,000 households we’ve served, we aim to provide quality services with professionalism to our customers. Your satisfaction is the greatest recognition we could have. We are proud to be the designated Home Service supplier for some reputable estates in Hong Kong (eg. Marinella Aberdeen, Sai Wan Ho Grand Promenade, Ma On Shan Double cove, Tseung Kwan O The Metro City, and Tai Kok Tsui Metro Harbour View, etc.). With our continuous improvement, we are pleased to remain as one of the largest Home Service Providers in Hong Kong throughout the years. Hello, my name is Mr. Huang / Miss Huang. We provide you with one-stop cleaning service ~ Home Cleaning ~ Office Cleaning ~ After Cleaning ~ Pest Control Service ~ Floor Waxing and Polishing, Home Size Problems, etc. Professionals will meticulously follow each project, communicate with you. 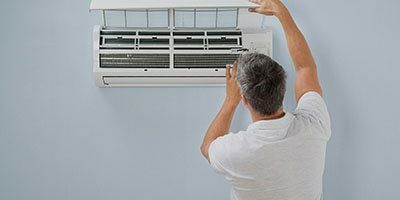 Let customers feel that our home service brings a different life experience - so as to create a loved one that the customer loves, can also contact and provide services at any time. We aim to serve our customers quickly and properly - with care and professionalism. You can arrange services directly by phone or whatapps. Today&#39;s service is superb, and the whole service process begins when you get home on time. It took about three hours before and after. During the process, the service staff was super-dedication and had no rest for cleaning. The first time I found such a reassuring expert, I was really super invincible. On the same day, the experts arrived very punctually. They disassembled the washing machine and explained how to maintain the condition and suggestions. The cleaning process was also very efficient. It also helped to replace the stainless steel shaft parts. It was safe to see the inside and outside of the washing machine. Wash your clothes! HelloToby connects people who have a service request, with the one who has the skills to fulfill the request. We always hope to fulfill your service request no matter how important or how trivial it is. Whatever type of your request it is, from trivial to influential to your development, we can always help you get the job done. For example, we can help you fix your window or even find a pet trainer for your dogs. If you would like to have B2B services, there are professional business Pros ready in HelloToby. Our platform Pros are strictly verified. They have the most sincere attitude that you can hire our Pros without any worries. Are you a Unfurnished Apartment or End of lease Cleaner? Sign up now for free!